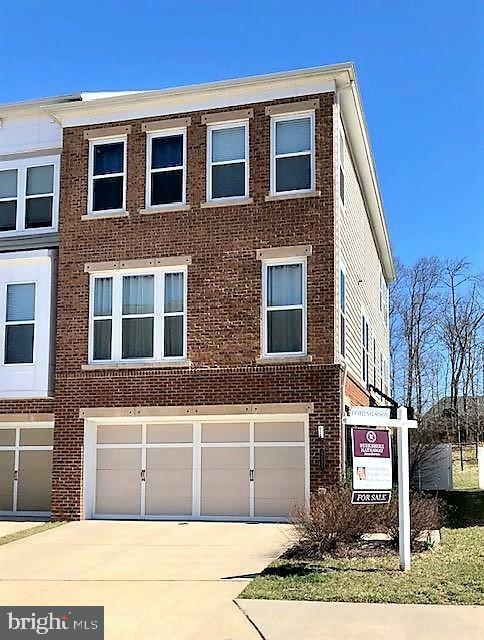 END UNIT TOWNHOME IN POPULAR BRAMBLETON!! Beautiful and Well Maintained by Original Owners. Premium Lot Backing to Trees. Loaded with Builders Upgrades. Highcrest Model with Three-Level Extension. Gourmet Kitchen with Breakfast Room. Sunroom with Sliding Doors to Private Balcony. Dining Room with Chandelier. Living Room with Recessed Lights. Hardwood Floors Throughout Main Level. All Stairs with Hardwood and Carpet Runner. Master Suite with Two Walk-In Closets and Closet Organizers. En-suite Luxury Master Bath with Soaking Tub, Walk-In Shower and Double Sink Vanity. Laundry on Upper Level with Front-Load Washer and Dryer. Lower Level with Family Room, Gas Fireplace, Half Bath and Sliding Glass Doors to Fenced Backyard. New Water Heater (4 Months Old). Large Tiled Foyer with Moldings and Garage Access.